Many students who are taking the ACT are apprehensive about the math part of the test. That may be one of of the reasons why you are here. You may have probably heard about the ACT math test and you want to know it can help you ace your ACT math. There are two ways to score high on the test: natural talent for math or a combination of determination, learning, and practice. A common misconception is you need to be naturally good at math to score higher on the test. But you don’t really have to be. You can achieve your target score with practice. Answer as many math problems as you can and assess where you make mistakes. Analyze your steps. Put those formulas into practice. That’s the best way to remember them and not by memorization. Myth 1: Math is difficult. Truth: Math is not difficult, it is just complicated so it takes more effort for people to understand it. Each has his individual style of learning. The good news is once you master it, it becomes easier. Truth: Your ACT score is computed by getting the average of your scores on the test subjects, not just math. Your number of correct answers are converted into a score ranging from 1 to 36. If you scored higher on the other three subjects (science, English, reading), it will pull up your ACT math score. But note that schools will see your individual subject scores, so this will still affect your college application especially if you’re applying for a math-based course. Myth 3: It is difficult to study math. Truth: Every person has different levels of skills and natural abilities. Many find math difficult because it takes effort to understand concepts and how to solve problems. All you need is to find out which mode of instruction works for you and lots of determination. If there’s one mode of instruction that works for all, that’s practice test! Nothing beats self-learning and learning at your own pace. What is an ACT Math Practice Test? How Should You Use This ACT Math Practice Test? Set a schedule when you should take the tests. You can do it every day, every other day or once a week, but you have to make sure that you take the tests regularly. The test may be multiple choice type of questions, but that doesn’t mean you should guess your answers when you’re not sure. Have a scratch paper where you can show your solutions. Write your solution down so you can better analyze the steps it takes to solve a problem. This is the way to also master solving math problems mentally. Review the topics before taking the practice test. Quickly study for the topics covered by the test before taking the practice test. This will help you assess your weak areas. Concentrate on improving areas that you find difficult. 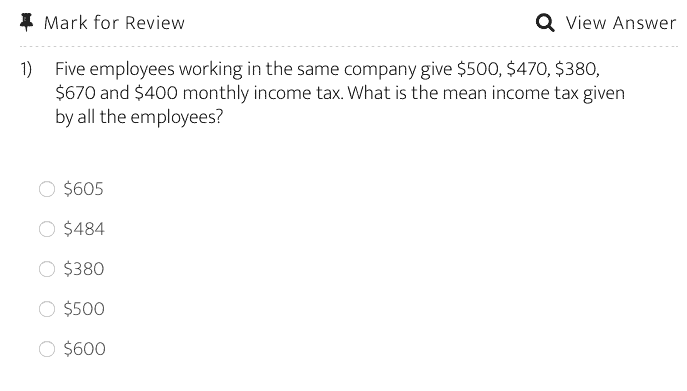 The practice test will allow you to reveal the correct answer for each question, so you can check your work. Use it as a support material after each study. After studying or attending a review class, use the practice test to test what you know and build upon what you have learned. This is the way to solidify whatever you have learned from your study session. Treat it as a real test. If you treat the practice test as a real test, you will answer it seriously and with determination. But if you tell yourself that this test is not real, then you might not answer it properly, which would defeat its purpose. That said, it would be best to take the test with a time limit—60 minutes. This is also the time limit for the actual ACT math test. Practice tests are not for one-time use. The best part about practice tests is that you can use them again and again until you master the materials enough to get a good score. What Results Can You Get From Using This ACT Math Practice Test? Anxiety comes from the fear of the unknown or from fear of failing. Practicing answering math problems will familiarize you with the math concepts as well as the structure of the test questions, so there will be no surprises when you take the actual test. As for fear of failing, taking practice tests increases your confidence as you begin to understand how to solve various math problems. Improve your chances of scoring higher. You get better chances of scoring higher by taking practice tests as this is just like studying for the exam but it’s so much better because you’re putting what you know and what you learn into practice. This will help you remember how to tackle math problems. Build your math skills for college and beyond. These practice tests will not only prepare you for ACT math test, but also for college and the real world. You will find that the skills you’ll learn by answering practice tests will benefit you when you start studying college math and when you use math in real world situations. Start taking ACT Math practice tests now.